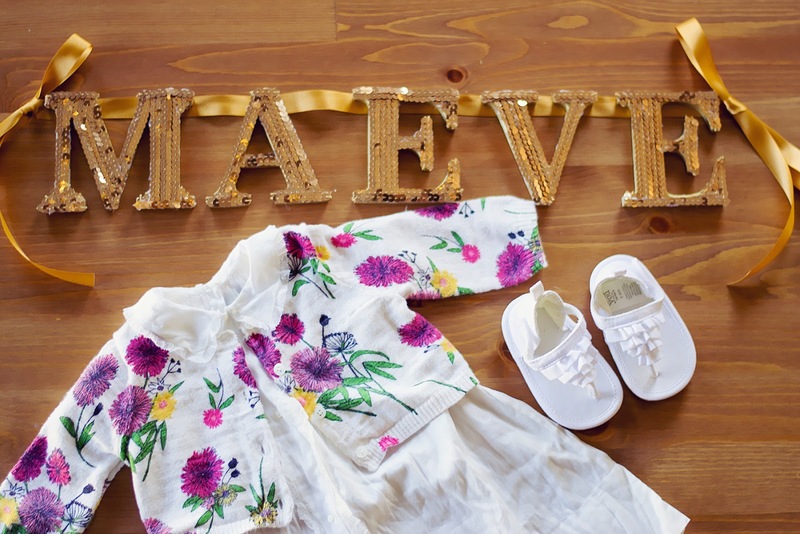 Since I first found out I was pregnant, I began scheming up ways to decorate a little girl's room. I know, that's a little crazy but some how I just knew it was a girl. Maybe it was a terrible morning sickness and how this pregnancy was far from being as easy as my previous. I have an embarrassing pinboard with 300+ ideas for a girl, I kept it a secret until we knew for sure. The sequin letters were something I actually stumbled across on facebook and just saved a screenshot. I don't recall which one, but one of the beauty companies I "like" posted up photos from a New Years party and had displayed the words "CHEERS" over their drink table. 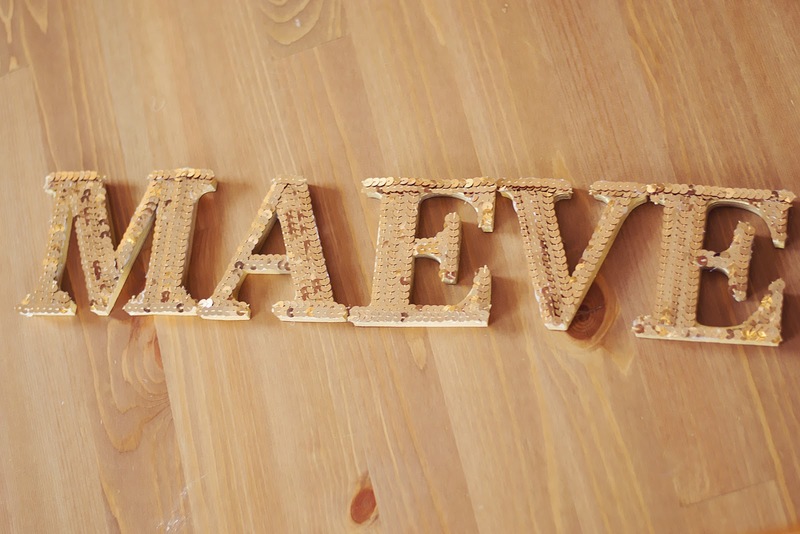 The words were gold sequin and I immediately knew I wanted THAT for her room. My overall vibe is, I guess, eclectic. I'm pulling inspiration from vintage, modern and I guess you call it hipster sources? I just hope it all comes together. 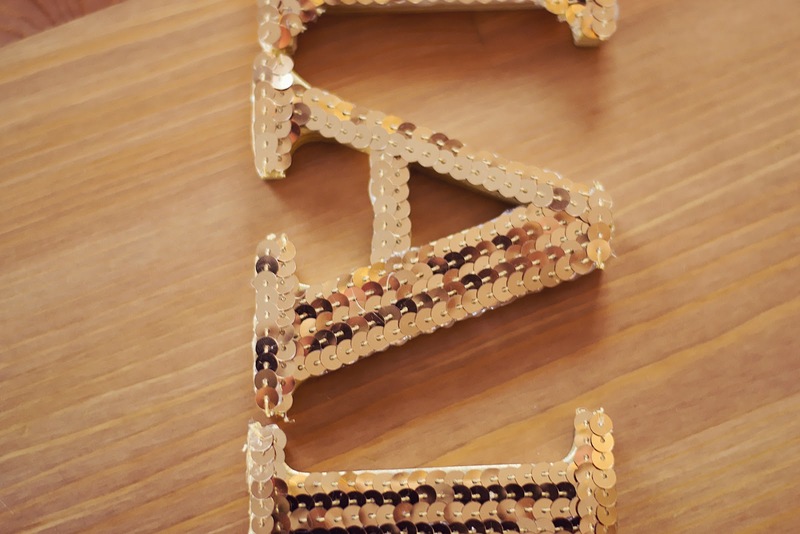 I didn't want to go overboard on the shiny and glam, so I decided to just make the sequin letters to hang. We'll see if it actually stops there. They're easy to make, but take time. I spent about 4 days working on mine, but I could only give it 30 minutes to a hour here or there. I also got much faster at it as I figured out how measure and layer. 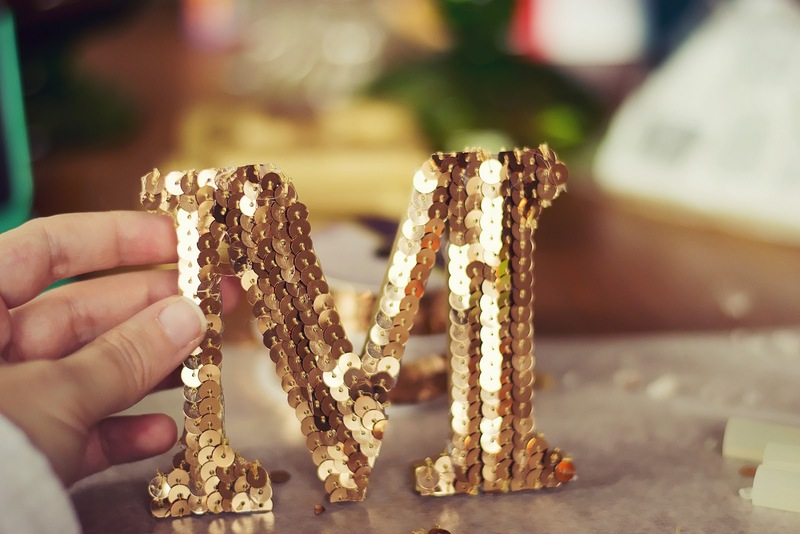 I began by painting my letters gold, you don't NEED to do this, but I wanted them all gold just incase there was a gap anywhere and you could see the board through the sequins. 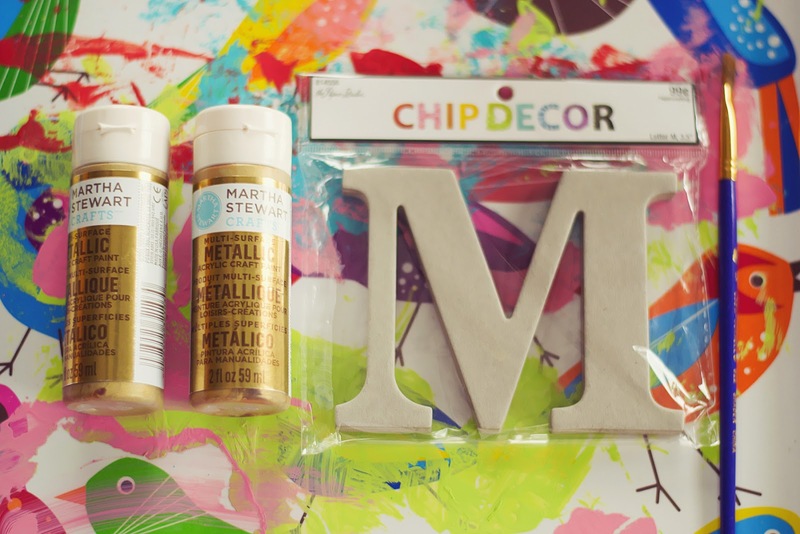 I used gold metallic paint from Martha Stewart that you can find at Michael's and my Chip Decor letters came from Hobby Lobby. I painted all sides of the board, even the back. Maybe I'm a bit of a perfectionist on that point but it's what I did! 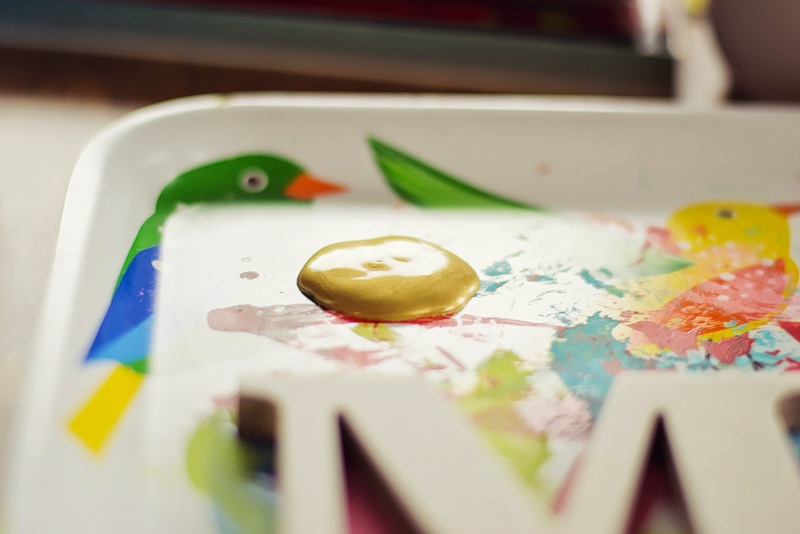 Go ahead and paint all of your letters now, so they have time to dry. Give them at least 1 hour to dry, just to make sure everything will stick. 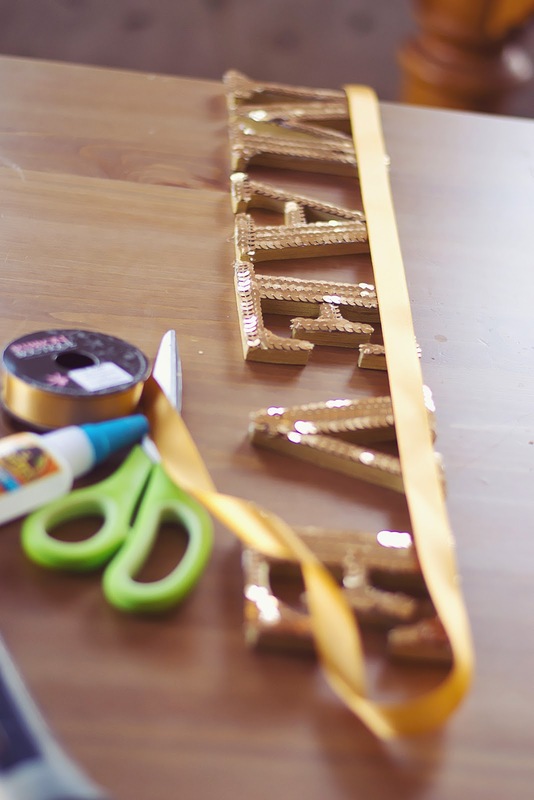 The next step involves your glue gun, sequins and scissors. 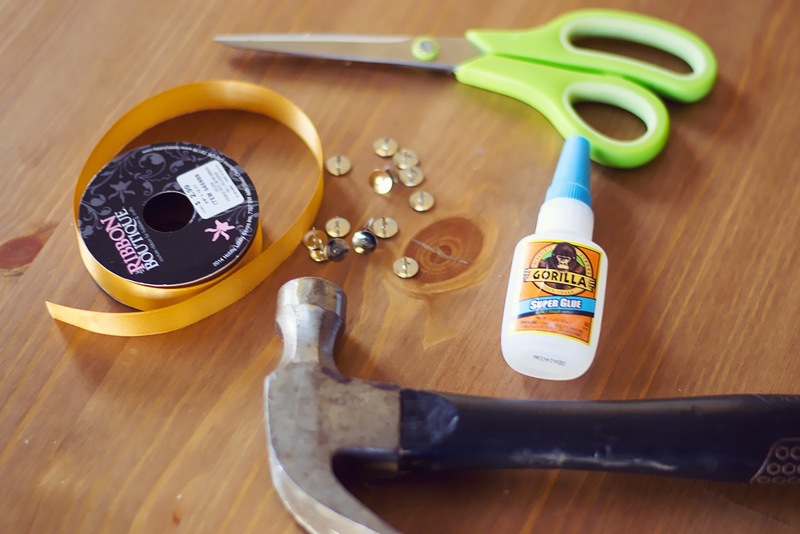 If you don't have a glue gun, you can use a high quality craft glue. I didn't use one, so I can't tell you which works best. I can tell you the pros and cons. 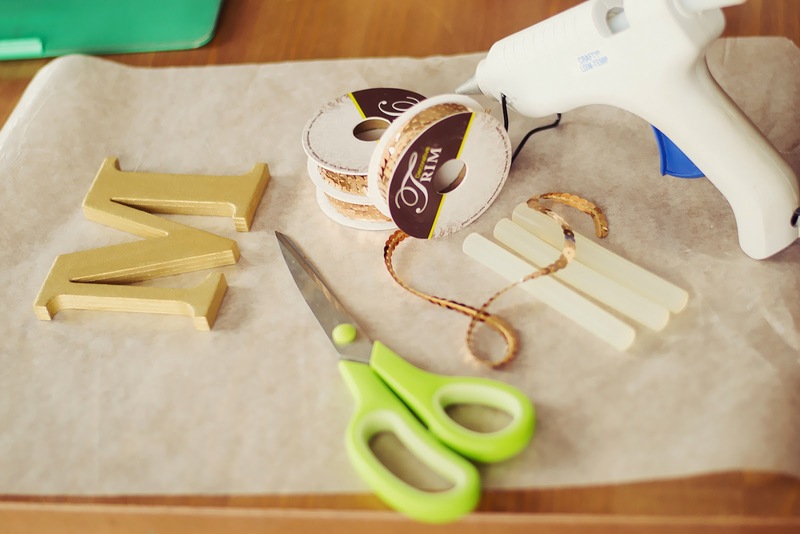 With the glue gun, you have the treat of your glue drying quickly, but that can also be a pain if you don't move fast enough! 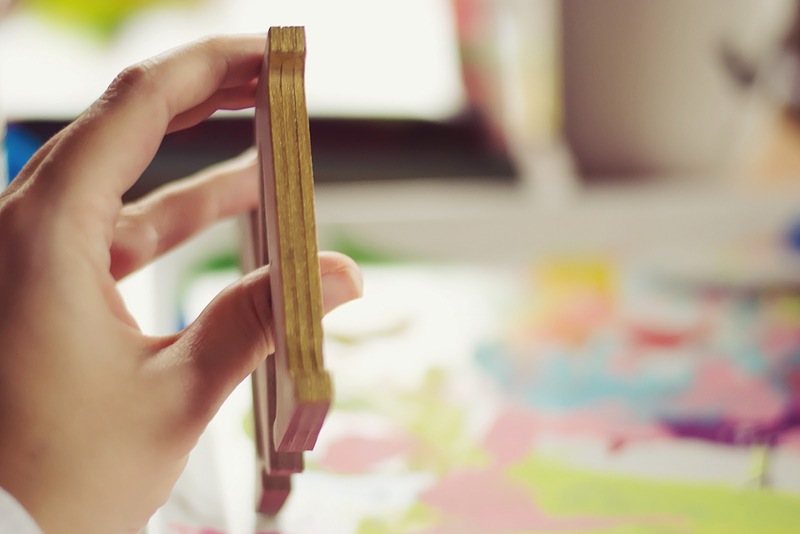 One the other side, craft glues can take up to 48 hours to fully dry, but you'll have time to mess around and make sure everything is straight. Also, be aware that a craft glue and super glue are totally different things! Do not use super glue because it dries quickly and you can never fix a mistake... or get your fingers free. 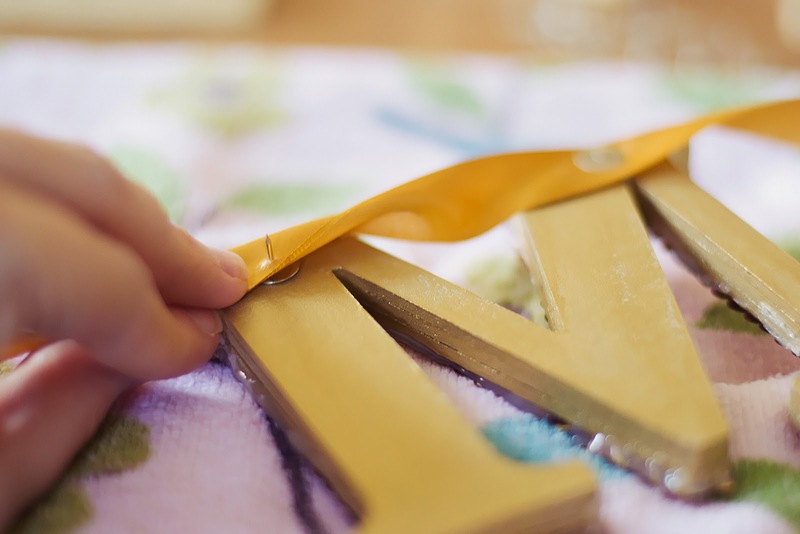 To begin, measure your sequins along your letter to find how long to cut. 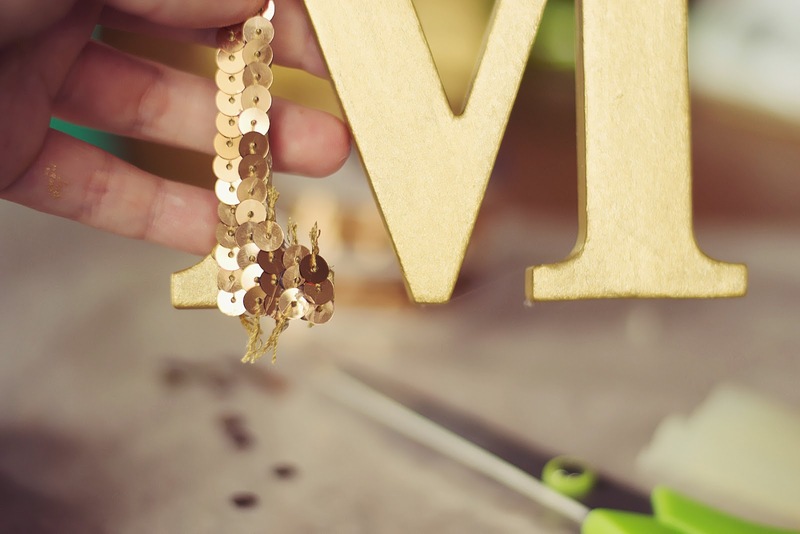 You will lose a few sequins each time you cut, so find your length and then cut a few sequins longer. We'll deal with the excess thread later, but it's harder to add sequins back than it is to remove a few! 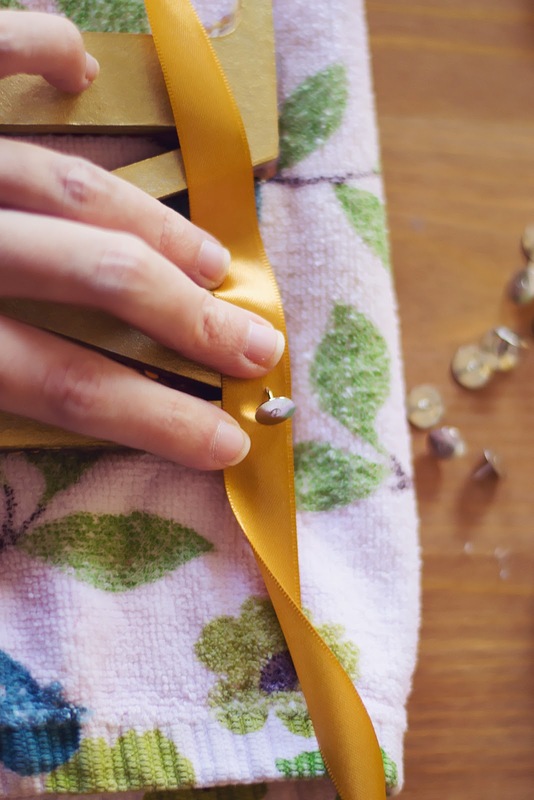 Put a line of glue down and lay your sequins on top, pressing them down into the glue. This is up to you, but I layered my sequins as I went. I also changed the direction, to me it just looked better this way, but it's up to you. You'll have to play around a little to figure out how to cover the full letter, especially if you have small spots like I did. It doesn't look pretty now, but it's okay, it gets there! 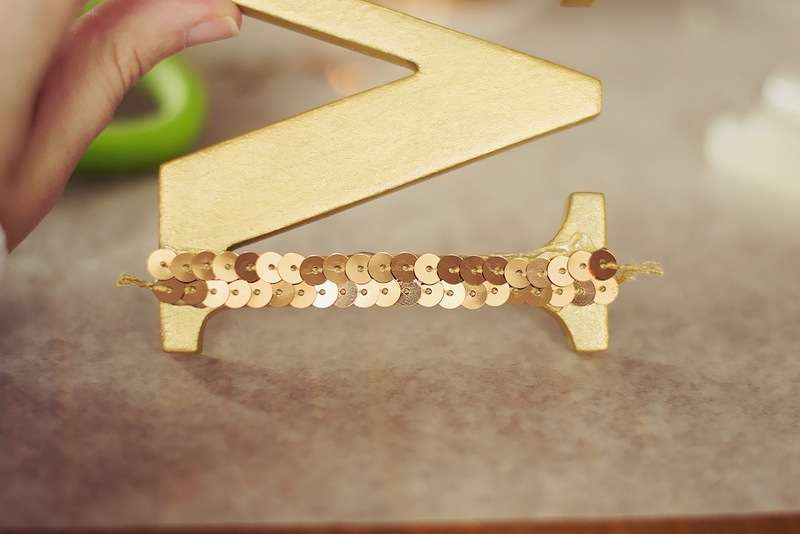 Once you have applied all the sequins, trim all the excess strings off of the edges. You can be finished here or you can go back and edge them. I went back. I ran a line of sequins across the top and bottom and finish mine off. That is completely up to you, it just made me feel better about mine. 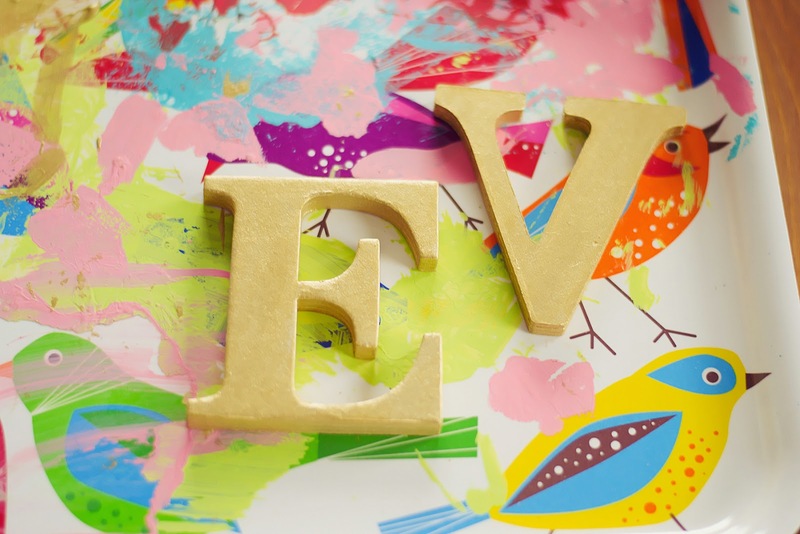 From here, you just repeat with each letter until your word or name is finished. At this point, you can stop! If you just want to stand them or lean them on something, then you are all done! But I wanted to hang mine, so I'll be continuing into the optional section. 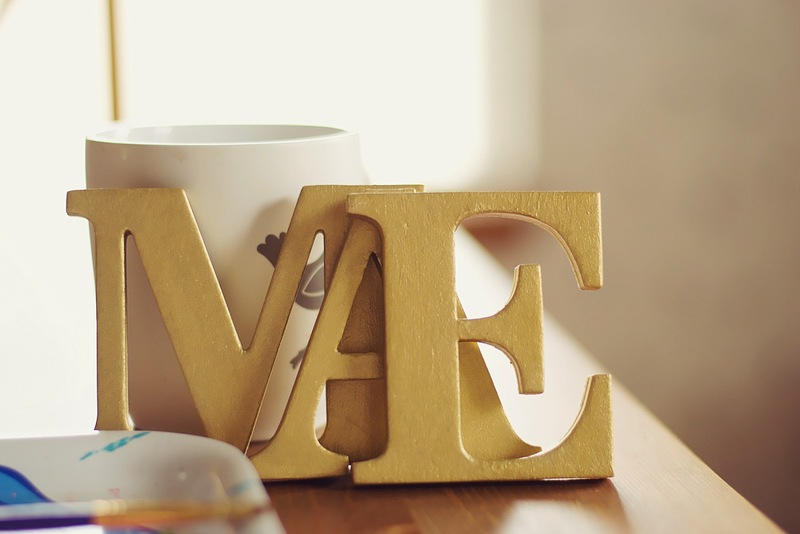 If you want to hang it, you will need ribbon or twine, tacks and a hammer. I also have super glue and now I will tell you why. I'm am not 100% sure where I'm hanging this yet, but in case it goes some place like up above or near her crib, I don't want to risk a letter coming loose and falling. They're not heavy, so the worry isn't it hitting the baby as much as ending up in baby's hands. So if yours is going into the room of an infant or small child, I suggest the super glue! 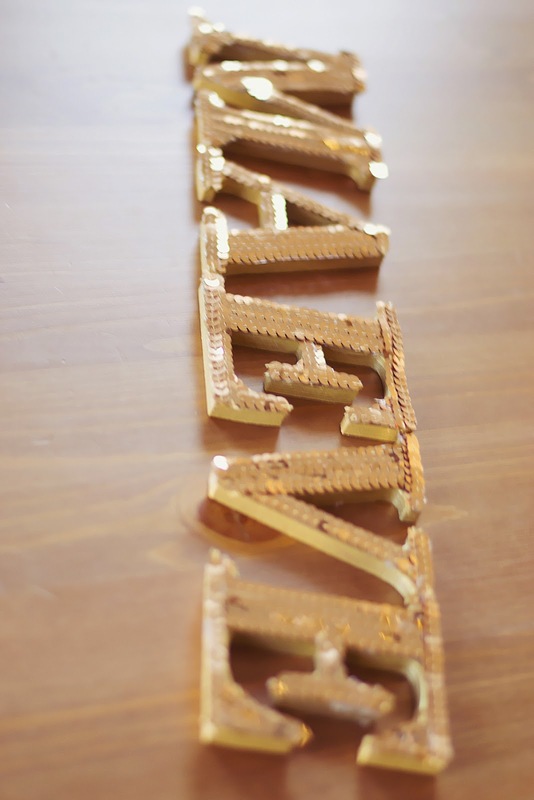 Begin by laying your letters out and spacing them as you want them to hang. Then run your ribbon across the top to find out how much you want. I gave myself an extra two feetish on each side, just to be sure I'd have enough. 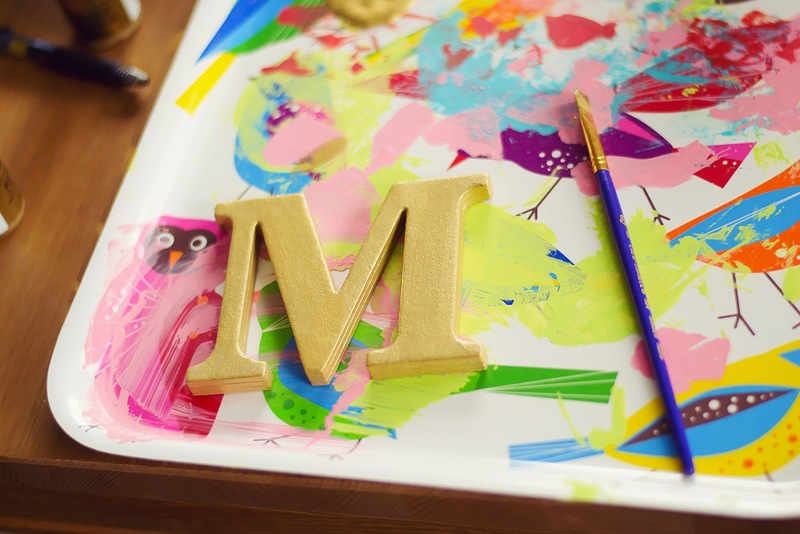 Turn your letters over, space them properly and be sure to place them in order so that they look right when you flip it back over. I put a towel under my letters to be sure I wouldn't break anything off and to protect my table from having sequins pounded into it. 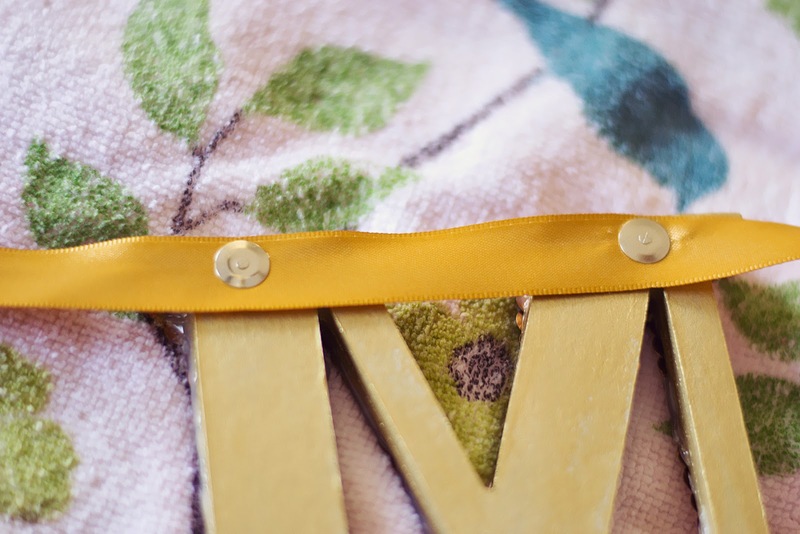 Lay the ribbon over your letters, take a tack and gently press it through the ribbon and partially into the letter. 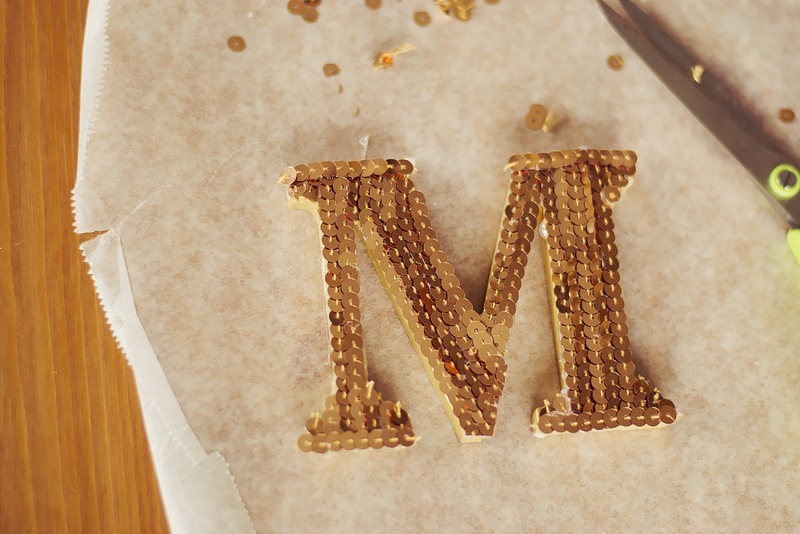 Gently pull tack back out of the letter, if should leave a small hole, but keep it in the ribbon. Twist the ribbon so that you can see the tack and put a dab of super glue onto the tip of the tack. Turn the tack over and place it back into the hole you just made. 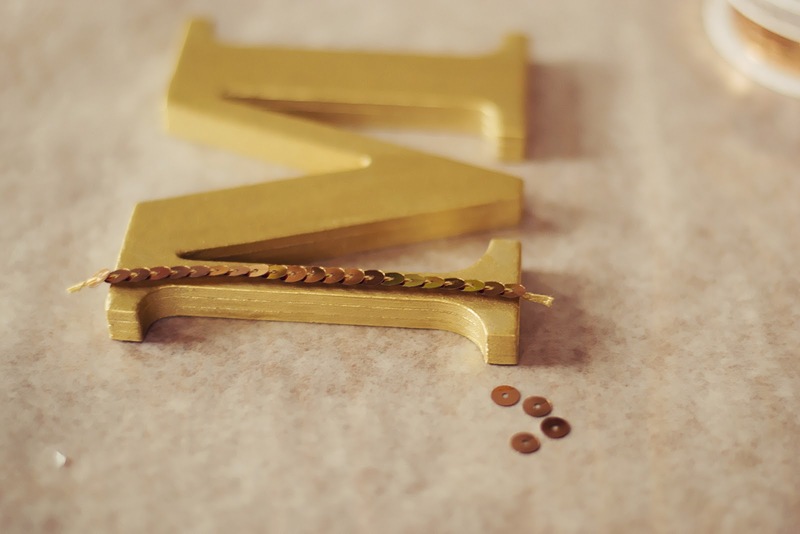 Take your hammer and gently hammer the tack into the letter. Continue this process until all your letters are done and connected. Allow super glue time to dry. And that's it! You're ready to go and place this cute little decoration anywhere you please. I haven't put mine up yet, simply because I haven't started putting her room together. It needs a fresh coat of paint before I do anything to it! And since I'm pregnant, I have to wait until my husband has time to do that... he just finished painting my dining room for me, so he deserves this coming weekend off for sure. I'll update when I get it put up in her room! 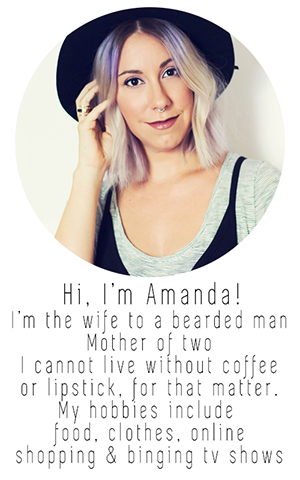 And if you make your own, tag me on instagram or leave a link in the comments, I'd love to see yours!